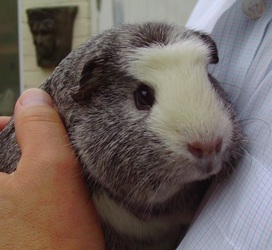 Tilly has gone to live with Carina and family! 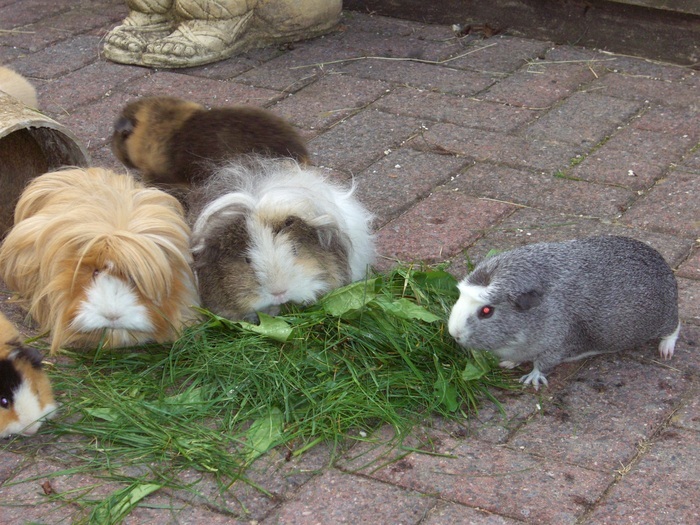 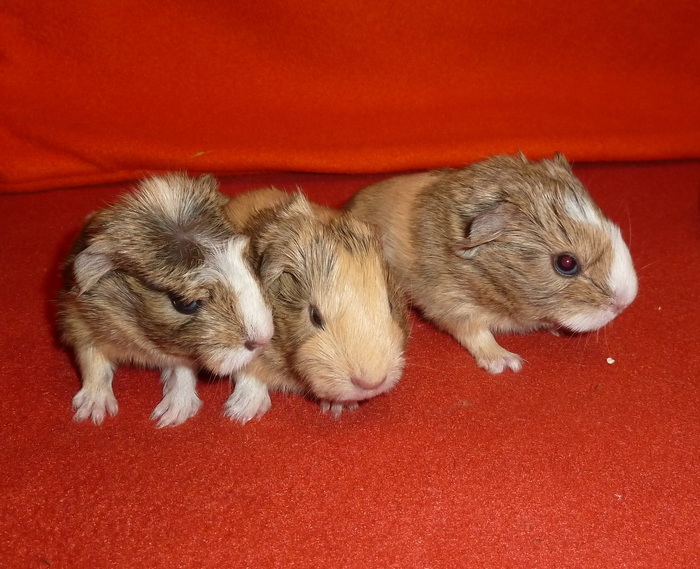 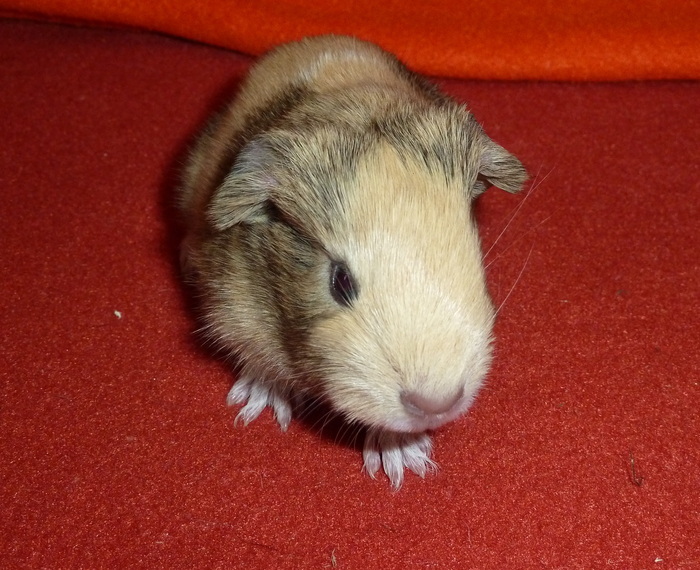 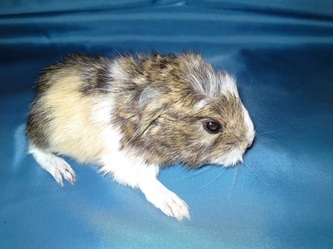 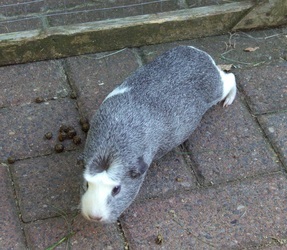 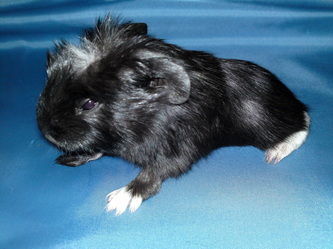 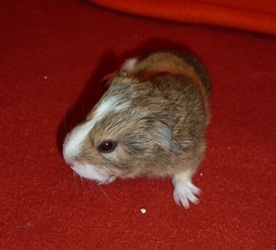 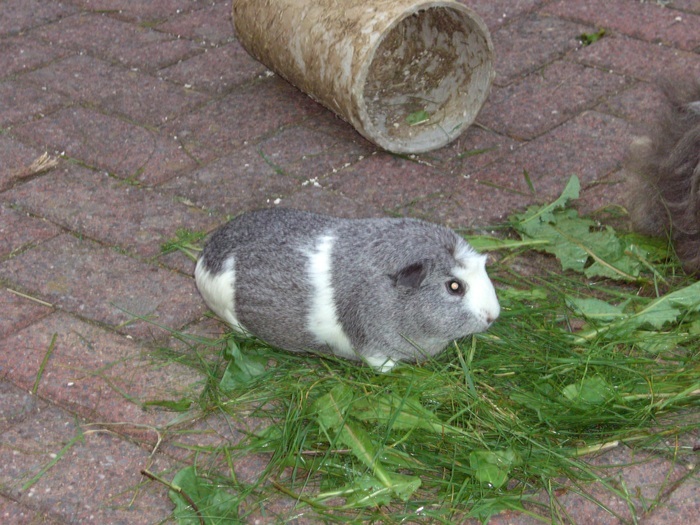 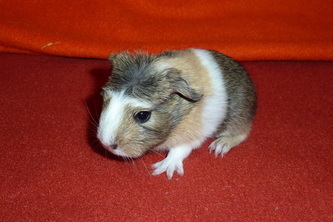 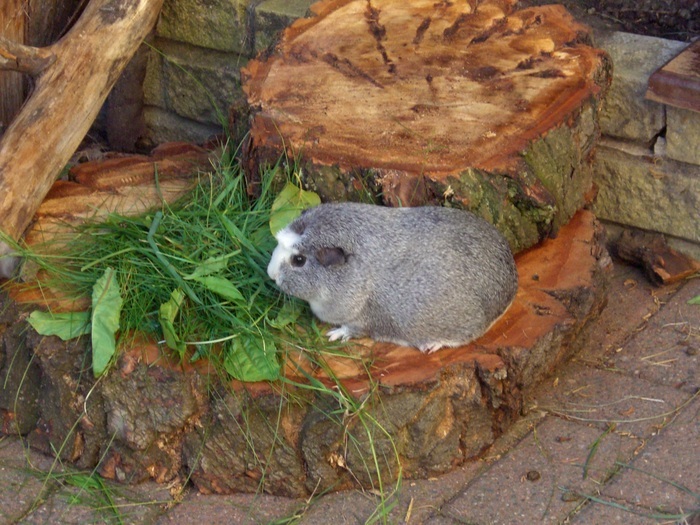 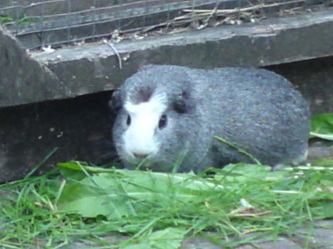 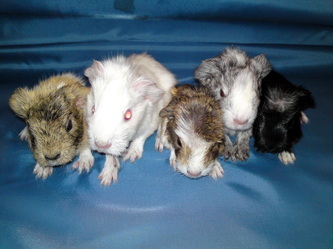 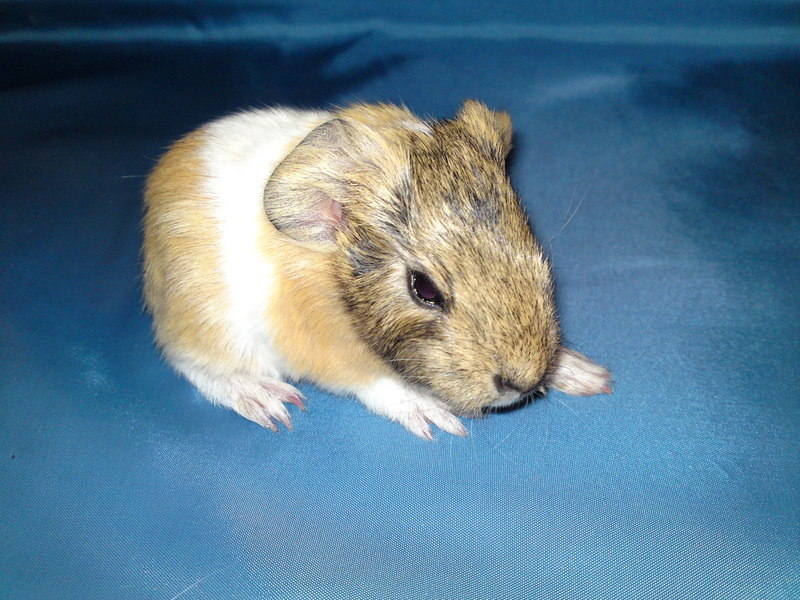 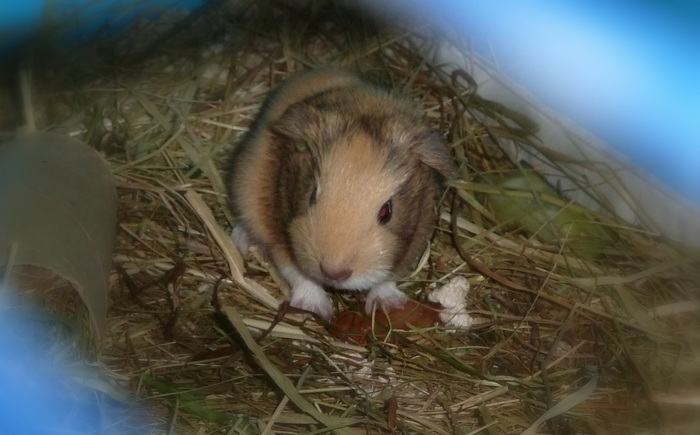 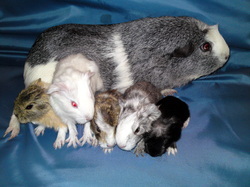 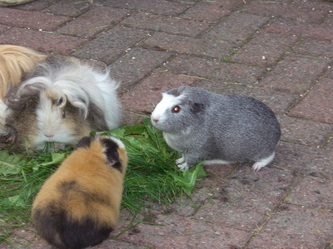 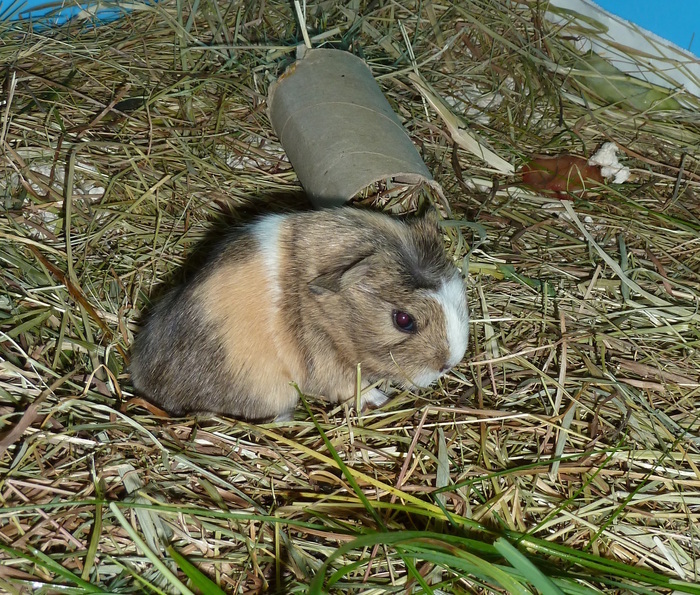 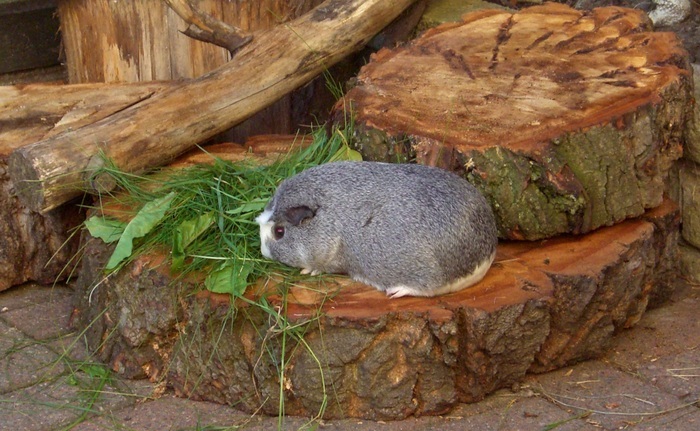 Beauvale Cavies - Tilly and babies! 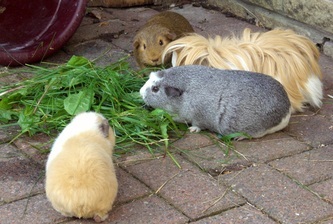 July 2011 - On the 23rd July, Tilly delivered five beautiful babies. 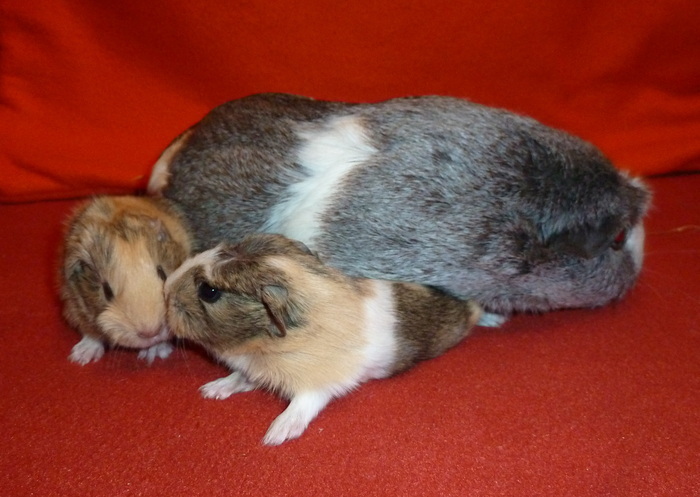 Merlin is the proud dad. Four of these will be available for new homes soon! 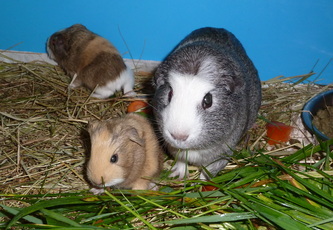 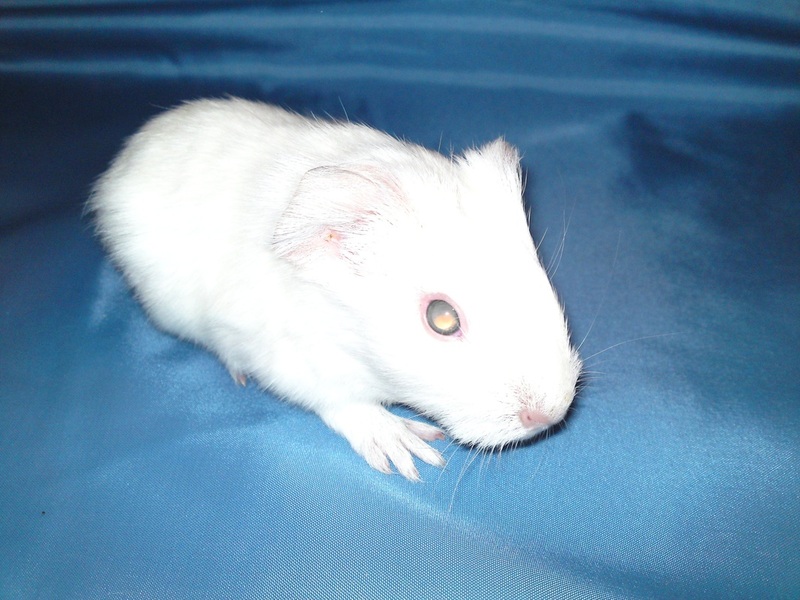 Tilly, our white crested smooth has gave birth to three lovely babies on 30 September. 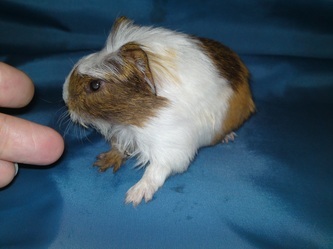 This is Tilly's first litter and we are really excited for her. 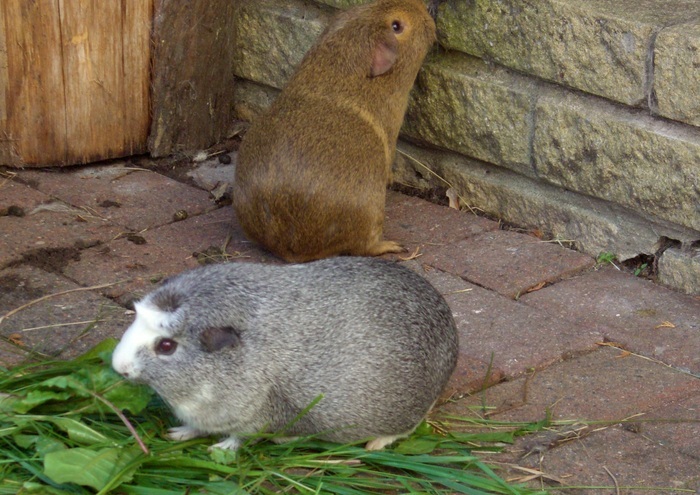 The father is Kerensky, a friend's tri-coloured Abyssinian who was a real cheeky character - you can see him in the video below. 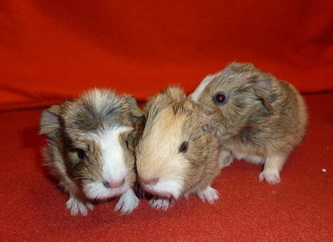 There are boys and a girl. 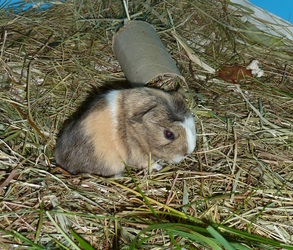 The boys will be staying together in their new home. We have decided to keep the girl and have named her Daisy (she's the one with the coronet - or if you prefer - the great eye brows)!! Please click on picture to supersize! 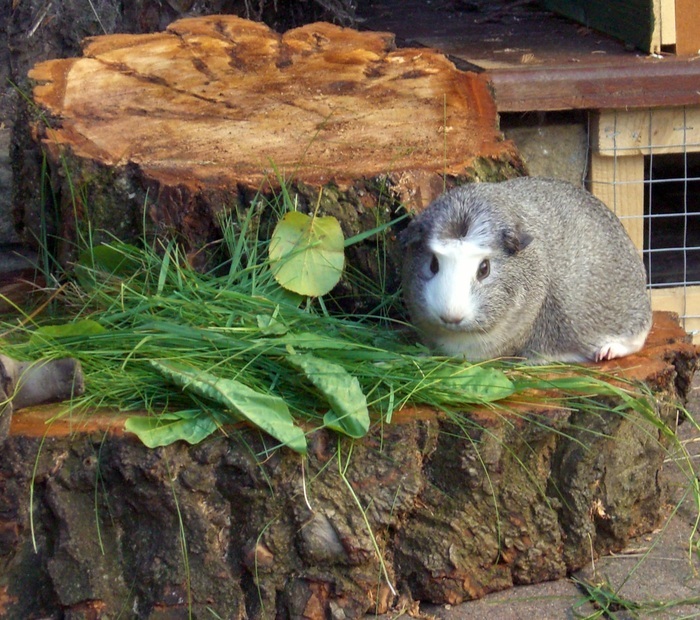 Tilly and Kerensky enjoying a summer evening! Tilly's photo gallery Please click on picture to supersize!